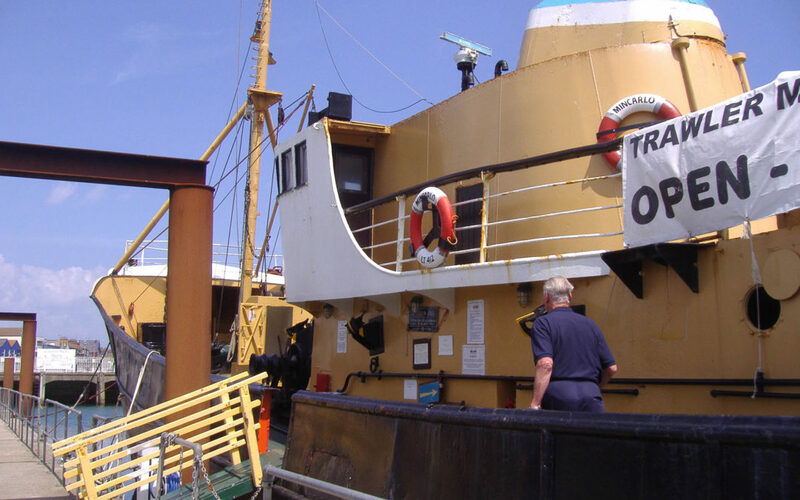 Why not complete your visit to Lowestoft with a trip to our friends at the Mincarlo – Lowestoft’s own Sidewinder Fishing Trawler, which was built by Brooke Marine in 1961-2 for local fishng family WH Podd and later owned by Boston Putford with the name of ‘Putford Merlin’. The ship is moored on heritage Quay, South Pier, Lowestoft, just just over the bridge. This year they will be running the main engine whenever there is enough water to do so, go down and see a bit of Lowestoft’s history come alive. A lot of time and effort has been spent over the winter to get her into tip-top condition for the season.